East Villagers love vegetable humor! 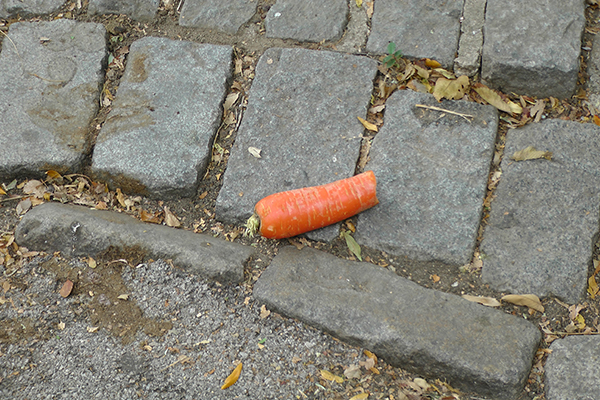 For the record, this was taken on Avenue B the day of the 25th Annual Tompkins Square Halloween Dog Parade! And here's a little-known fact: Vizslas love carrots! One way or another, everything connects to the Dog Parade… in the East Village Today! i like the color against the grey stone!